Cyberjaya is strategically located between KLCC and KLIA and it sits just next to Putrajaya. Driving to the airport will take around 25 minutes or less. 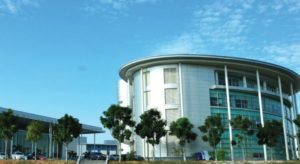 Cyberjaya will always remain to be one of the greenest cities in the country. The area is now resplendent with plenty of shopping venues. You can find almost everything now in Cyberjaya. D’Pulze Shopping Centre – Cyberjaya’s first shopping centre – has pretty much everything you need and also has a good nightlife with venues such as Hops&Grapes, The Cooler, and Karma bar and lounge. There’s a supermarket inside called Jaya Grocer where you can find plenty of imported food. It is like a home to a good range of shopping centres. There are lots of laid-back coffee shops to sit back and enjoy a cup of java. The Cyberjaya Lakeside is the best is to enjoy a spot of cycling. The city has a number of bars and restaurants, including Japanese food options. 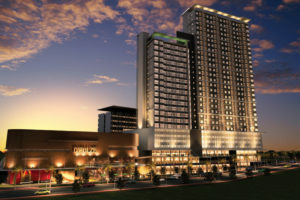 The latest addition is the up-coming Live Style Mall – The Tamarind Square. 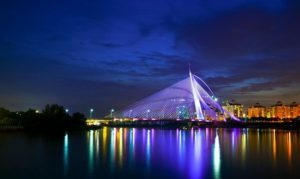 Cyberjaya is rapidly growing to be one of the startup hubs in Malaysia, and we are pretty sure more exciting things are coming to Cyberjaya and if you plan to move here, don’t look any further!